The BJU Press Heritage Studies series for grades one through six covers history, geography, and cultural studies from a Christian perspective, recognizing that God is active both in past and present historical events. Texts include stories about famous historical figures including Christian missionaries and leaders. 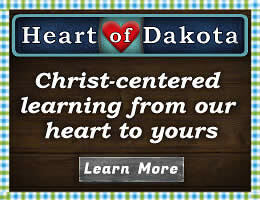 In addition, this series encourages students to become responsible Christian citizens. For each course, there are a student text and an activity manual. The books are very colorful and attractive. Textbooks are not consumable but activity manuals definitely are. The courses are designed to be taught by a teacher. Student books provide some of the course content, but additional information and activities in the teacher’s edition for each textbook enhance the courses significantly. Teacher’s editions have all of the instructional material surrounding a reduced image of the student page. Teacher's editions also serve as answer keys for the textbooks. Teacher’s editions for all levels come with a Teacher’s Toolkit CD tucked in a pocket at the back of the book. The CDs contain PDF files with background information, visual aids, maps and charts, a timeline, instructional aids, and other teaching resources. Some of the material on the CDs is more useful in classroom settings rather than for homeschools, but some vital resources are on the CDs. Lesson instructions are presented step-by-step in the teacher’s editions. Lessons include teacher-led discussions, questions to ask to guide student understanding, the use of visual aids and maps, cooperative activities, role playing, games, and hands-on activities. Teachers might also share from the background information or read from recommended supplemental books. 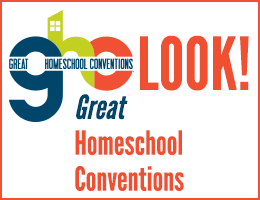 Many of these lesson elements will be optional in homeschool settings. Older students will do more independent reading and require less teacher-led instruction than younger students. Some activities that are designed for group classes will not adapt for use with just one student, but none of these are critical. Some lesson preparation is required. Materials needed for hands-on activities are listed on each Teacher’s Toolkit CD, showing which items are needed for which lessons. Test packets and answer keys are available. Test packets include one test per chapter, and the number of chapters in each textbook varies from ten to twenty. Subject kits for each course include the student text, the student activity manual, the teacher’s edition, tests packet, and tests answer key. Student activity manuals and their companion answer key books are essential components of these courses. The teacher’s editions for the textbooks tell you when to use which pages in the activity manual. For the activity manuals, the teacher’s answer key book has full-size student pages with overprinted answers. You can purchase a printed book, but the answer key is already included on the Teacher’s Toolkit CD. Because of this, printed versions of the answer keys for the activity manuals are not included in the subject kits. At the younger levels, activity manuals include matching, circling, drawing, writing brief answers, cutting and pasting. Activities gradually shift toward more written responses. Graphic organizers are used frequently in the activity manuals. In addition, while there are frequent hands-on activities in younger levels, the number decreases at upper levels. Nevertheless, there are still some hands-on activities as well as other activities that students with different learning styles might enjoy at all levels. 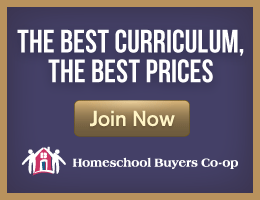 You might want to check out the ready-made lesson plans from Homeschool Planet that are available for BJU Press Heritage Studies courses. Heritage Studies 1 begins with the story of Creation and the plan of salvation. In the first chapter it continues with introductions of the world, maps, globes, and compass directions. Subsequent chapters work from the familiar outward covering, families, communities, community helpers, states, and then the United States. Lessons on families, communities, and states include discussions and activities for the teacher to personalize information for where their students live. Chapters seven through eleven shift to the larger world and U.S. History with coverage of Native Americans, Christopher Columbus, and settlements at Jamestown and Plymouth. The concluding chapter contrasts past and present of the past few centuries, looking at technology and communication, household appliances, clothing, and cars. Heritage Studies 2 begins very similarly to Heritage Studies 1 with the Creation story and the plan of salvation. Then it shifts to the story of the Tower of Babel to explain the initial dispersion of people groups and the rise of different languages. It continues with lessons on the three levels of government, the legal system, citizenship, and national landmarks and symbols. A chapter on geography introduces the concepts of regions, climates, natural resources, land forms, and bodies of water. The remaining six chapters teach history, beginning with native Americans in both the territory that became the Unites States and the Mayas in both Mexico and regions to the south. Lessons continue with explorations, colonial settlements in the U.S., growth of those colonies, and the eventual American Revolution and birth or our country. In comparison to the first grade text, the second grade book has significantly more content. In most situations, the teacher or parent will probably read the text to the student, incorporating lesson teaching material as they do so. Heritage Studies 3 begins with exploration and colonization but moves quickly on to highlight specific topics in the colonial years such as the Puritans, The Great Awakening, The French and Indian War, and the American Revolution. It slows down to go further in depth on the forming of our government, the challenges of writing a constitution, Washington’s presidency, western settlement, and the role of religion in those formative years. The text continues covering pivotal events and key figures up through the Civil War. It is somewhat selective as it must be for a third grade audience, but the role of religion in our country’s history is included. “Preparation for Reading” in the teacher’s editions helps students get an idea of what the upcoming chapter will be about. A question posed in this section helps students pay attention to find that particular information. “Teach for Understanding” questions for each lesson in the teacher’s edition ask students to think about what they have read (or heard) at more challenging levels, sometimes requiring students to make inferences based upon the lesson material. There are few hands-on activities compared to earlier levels. Instead, there are more cooperative group or team activities, many involving discussion, research, and presentations. Still, some of these can be done by a single student. For example, constructing an immigrant scrapbook might be a fun and doable project for a single student as long as they get some parental assistance. While the student activity book has a few pages to be used with hands-on activities, most pages are worksheets or graphic organizers, many requiring written responses that reinforce information taught in the course. Even so, pages are colorful and have plenty of illustrations. The first chapter of Heritage Studies 4 briefly reviews the settlement of America up through the Civil War. Chapters two through eleven pick up the historical timeline from Heritage Studies 3 at the period of Reconstruction and continue up through the immediate aftermath of World War II. Four excerpts from primary sources that are included in the activity manual are used within the lessons as explained in the teacher’s edition for the text. Chapters 12 through 18 shift toward a social studies approach to examine different regions of the United States and its territories: the Northeast, the Southeast, the Midwest, the Southwest, the Rocky Mountain states, the Pacific states, and the territories. These sections looks at the geography, natural resources, products, and climate in a region as well as some of its history, famous sites, cities, and religious and political developments. Territories get briefer treatment than do the regions. During the second semester, students are to work on a state or territory project from a list of options in the teacher’s edition for Lesson 107. Projects might be a scrapbook, a timeline, a brochure, a photo album, a miniature float, a slideshow, or a computer-supported oral report. Notice that options are available for different learning styles. Lesson 149 in the activity manual introduces an assignment to write a research report on a state or territory. Pages in the activity manual teach how to create note cards, an outline, and a bibliography as well as how to write and edit the report. These activities will help you if you need to cover your state's history in fourth grade. Heritage Studies 5 covers the entirety of United States history from exploration up through 2014, reviewing many topics that have been presented at earlier levels, albeit at a more complex level. Both text and activity manuals are lengthier with more content than books for earlier grades. At this level, the text introduces more hot-button issues and controversies. Biblically Christian and politically conservative views are evident throughout the text. Sometimes the lessons compare and contrast biblical Christianity with other worldviews. Additional background information is in the teacher’s edition as well as on the Teacher’s Toolkit CD. Parents or teachers might want to read and share some of this information to make lessons more interesting. “Teach for Understanding” questions require higher-order thinking as students must analyze, synthesize, and evaluate information to answer questions such as, “Why do you think materialism was one of the problems that went along with America’s thriving economy?” ( Heritage Studies 5 Teacher’s Edition, p. 323). During Lessons 55 through 62, students will also be creating a Civil War lapbook. Brief instructions are in the teacher’s edition, and cut-outs with more complete instructions are in the activity manual. Students will create a bibliography of sources of the information that is put into the lapbook. In the last lesson on current moral issues students are supposed to prepare and present a speech that can be either persuasive or informative. Heritage Studies 6 is the first in BJU Press’s series to cover world history. This text opens with a discussion about the study of history in general, and it makes the point that the Bible is a reliable source of historical information. Creation, the Fall, and Redemption are presented briefly as a backdrop for understanding the story of history. Chapters two through thirteen study ancient civilizations: Mesopotamia, Egypt, Israel, India, China, Persia, Greece, Rome, the Byzantine Empire, Mesoamerica, Africa, and Japan. Chapter 14 moves up to the Middle Ages in Europe. Chapter 15 concludes by revisiting civilizations covered in earlier chapters but tracing the work of God’s redemptive plan through them as well as the rise of conflicting worldviews. A “Christianity and Religions Chart” on the Teacher’s Toolkit CD might be especially helpful with this chapter. Primary sources to be used with the course are on the Teacher’s Toolkit CD under “Resource Treasury.” You will probably want to print out maps from the CD as well. The CD has instructions for organizing a History Fair and for student to create projects. You might want to have a student create a project even if there is no History Fair. Students will write a number of essays in this course within lessons and on tests. An essay evaluation rubric is included on the CD along with rubrics for evaluating projects and some other activities. Lesson 3 in the student text explains how to write essays and how they will be evaluated. It is recommended that students keep a loose-leaf notebook for this course. They should be learning to take notes which can be kept in the notebook, and there will be an assortment of items that could be compiled here including completed pages from the activity manual.